The early days of Freemasonry in America are reflected in this look at the history and contributions of Masons in Massachusetts and Ohio—as seen by brothers in California. It acknowledges the 275 year history of Massachusetts Grand Lodge, and 200 years in Ohio. One of the most moving ceremonies in Masonry is the presentation of a 50-year or 75-year pin to a brother who has spent decades of his life as a member of the craft. It is a celebration not only of a life well lived, but also a recognition that a major source of Masonry’s strength comes from its continuity. It is not just individual Masons that reach important milestones, though—this year marks a major anniversary for two American Grand Lodges. 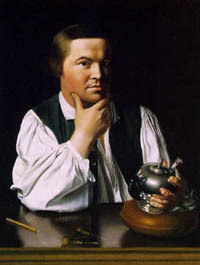 In Massachusetts and Ohio, the Masons who first convened were leading the formation of a country. Their Grand Lodges’ considerable years celebrate the strength of those leaders and their surrounding brotherhood, past and present. In May, the Grand Lodge of Masons in Massachusetts celebrated its 275th year with a three-day gala celebration in Boston. 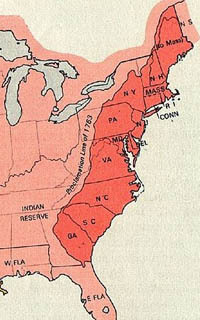 It’s a significant number, even more impressive when considered in its historical context: the Grand Lodge pre-dates the founding of the United States by more than four decades, and by the time the Grand Lodge of California was formed in 1850, its counterpart in the Bay State had already been in existence for 117 years. The Most Worshipful Grand Lodge of Ancient Free and Accepted Masons of the Commonwealth of Massachusetts—better known today as GLMA—has the distinction not only of being the first jurisdiction in the Western hemisphere, but of being the third oldest Grand Lodge in the world. The organization was formed in 1733 as the Provincial Grand Lodge (also known as St. John’s Grand Lodge), but did not take on its present name until 1792 when it merged with the rival Antient Provincial Grand Lodge following the American Revolution. The edifice, built in 1898, is one of the oldest institutions in downtown Boston. (It was preceded by two Grand Lodge buildings on the same site.) Glass mosaic panels adorn one side of the building, depicting the search for light and the labor of building. Inside, the Grand Lodge lounge contains glass cases showcasing classic Masonic memorabilia; the banquet hall holds a portrait of Paul Revere and eminent Masons. 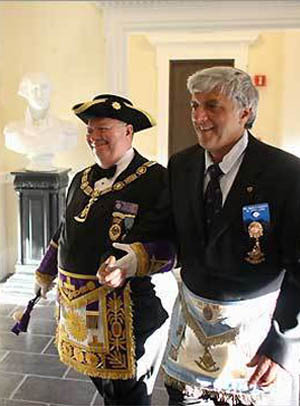 If the early history of the Grand Lodge of Masons in Massachusetts is a microcosm of the last decades of the American colonial period, the creation of the Grand Lodge of Ohio mirrors the settling of the interior of the country. Unlike Massachusetts, which commemorated its milestone anniversary with a gala celebration in Boston, Ohio’s bicentennial is being observed in smaller ceremonies throughout the state. 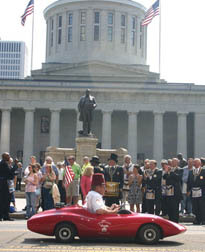 Braatz notes that “Ohio doesn’t really have one hub city, so we are hosting local events in each of our 25 districts so that all 522 lodges in the state can participate.” In addition, on July 12 the Grand Lodge hosted an event to honor the state’s first six lodges, and on Independence Day held a ceremony in Marietta to replace the gravestone of its first grand master, Rufus Putnam, a Revolutionary War general, surveyor and judge who later became one of the founding fathers of Ohio. “There was nothing on the original marker that indicated that he was a Mason, but it is important for us to honor the early Masons in Ohio who helped build what we have today,” Braatz says. This article was published in California Freemason, Vol. 56, No. 4, September 1, 2008, pp. 16-17. Allan L. Casalou, Grand Secretary and Editor-In-Chief. The top picture shows Massachusetts Grand Master Roger W. Pageau (left) and Past Master of St. John Lodge Eugene A. Capobianco during the 275th anniversary procession. From "Massachusetts Grand Lodge" in the Boston Globe, here, image by Jonathan Wiggs/Globe staff.